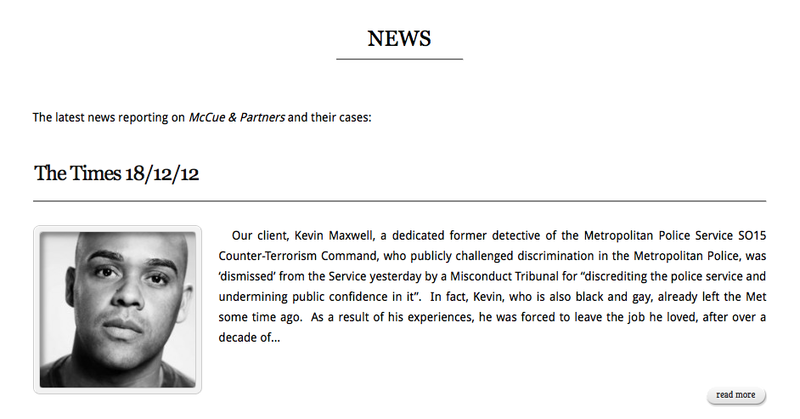 Kevin Maxwell is black, gay and a former officer of the Metropolitan Police Service’s (MPS’) Special Operations 15 Directorate (SO15). SO15 is a specialist, elite unit with “expertise in intelligence analysis and development, investigation and operational support activity”. It has the ultimate responsibility for “bring[ing] to justice anyone engaged in terrorist, domestic extremist and related offences”.1 Whilst at SO15, Mr. Maxwell was a Special Branch officer based at Heathrow Airport with counter-terrorism responsibilities. During his four-year tenure with SO15, Mr. Maxwell publicly and bravely challenged racism and discrimination within the MPS. As a result of the continued harassment and discrimination he suffered, Mr. Maxwell was forced to leave a job he always wanted to do and to which he was deeply committed.2 His private information was leaked to The Sun. He was threatened with the Official Secrets Act should he talk about his experiences. Rather than address Mr. Maxwell’s legitimate and serious complaints, instead, Mr. Maxwell believes that the MPS sought to discredit and intimidate him into silence. Such was the victimisation experienced by Mr. Maxwell that he now suffers extensively from the long-term disabling effects of chronic depression, characterised in the main by high anxiety. From the outset, Mr. Maxwell’s intentions have been clear. He does not wish to damage the reputation of the MPS. Instead, he hopes to highlight weaknesses and areas for development within the Service and, by doing so, improve the climate in which black and minority ethnic officers (BME) and LGBT officers serve. In December 2008, Mr. Maxwell first informed senior management at the MPS of the racism and homophobia that he experienced on a near daily basis. Despite a move from the SO15 team based in Terminal 3 to another team in Terminal 5, the discrimination and harassment continued. These events had such a profound psychological impact upon Mr. Maxwell that he began to suffer from high anxiety and, by summer 2009, displayed signs of severe depression. Given the rapid deterioration of his mental health, on 26 July 2009 a physician placed Mr. Maxwell on sick leave due to stress. Initially, Mr. Maxwell tried to discuss his concerns with various members of the MPS’ senior leadership team. Their initial response was to ignore or be dismissive of Mr. Maxwell’s concerns. However, when he later raised a grievance, the MPS proceeded to intimidate and victimise Mr. Maxwell in order to silence him. Indeed, a sizeable proportion of the discrimination and victimisation that Mr. Maxwell faced actually occurred during this “whistleblowing phase”, and whilst he was convalescing. Given the repeated inability of the MPS to handle his complaints satisfactorily, on 14 May 2010 Mr. Maxwell submitted an initial claim to the ET. A short time after submitting his formal claim, Mr. Maxwell received a telephone call from the MPS’ Press Officer, Alex Fedorcio, informing him that The Sun’s then Crime Correspondent, Anthony France, was to publish an unflattering article about him. By leaking personal information to the press, not only would the article serve to smear Mr. Maxwell and thus unfairly damage his reputation, but it would also endanger the safety and security of one of the MPS’ own counter-terrorism officers, his then partner, Mr. Alex Parr (a civilian), and other family members. However, even this investigation was inadequate since it failed to name or pursue the person(s) whom had received the payment(s). Mr. Maxwell, therefore, escalated his complaint to the Secretary of State for the Home Department, the Rt. Hon Theresa May, on 14 October 2012.10 Mr. Maxwell has yet to receive any response from the Secretary of State. Although the article never went to press, Mr. Maxwell was extremely distressed by the MPS’ leak. Instead of protecting him, the MPS, once again, had resorted to victimisation. This was particularly cruel since, by summer 2010, the MPS was well aware of Mr. Maxwell’s health issues. Critically, this episode also raises further serious questions about the MPS and its well-known culture of leaking confidential information.11 As a result of this incident, Mr. Maxwell submitted a second claim to the ET for further victimisation and harassment. The leak of personal information about one of its own counter-terrorism officers suggests that senior managers in the MPS either approved this unauthorised (and possibly criminal) activity or have lost control of the officers under their command. The failure to carry out a proper investigation is a further indictment of the leadership in failing to take such matters seriously. The MPS had been warned almost a year previously by the Appeal Tribunal “[to] consider whether all of [its] grounds [of appeal] should be argued in light of the difficulties…”.16 The MPS ignored the judge’s warning to its own detriment and at considerable cost to the public purse. Following three years’ litigation and two lengthy tribunal processes, two employment judges had found serious failings at the highest levels within the MPS. The MPS’ only response to the EAT’s decision was to claim they were “disappointed by the Employment Appeals Tribunal’s decision” (rather than the discriminatory conduct of its own officers).18 To the best of our knowledge, at no point has the MPS’ leadership accepted the findings of the tribunals. Nor have they issued an apology to Mr. Maxwell for his long ordeal. B.Failure of senior leadership to investigate allegations, protect complainants and prevent further victimisation. These events are but a few examples of the discrimination and harassment that Mr. Maxwell experienced on a near daily basis whilst based at Heathrow Airport. He first raised concerns with the supervising officer of his line manager in November 2008 but the MPS did not take him seriously. If the MPS fails to address racism and discrimination within in its own ranks, the “spill-over” of such racism and bigotry onto the general public is inevitable. Accordingly, before addressing how it treats the public, the MPS needs to get its own house in order. Mr. Maxwell submits that the MPS leadership must root out racism and homophobia against its own officers in the lower ranks, before it will able to prevent discriminatory attitude and behaviour towards the general public. Perhaps the most surprising element of Mr. Maxwell’s case was the MPS’ failure to adequately investigate Mr. Maxwell’s accusations and, in turn, affect any remedial action. The MPS, instead, proceeded to adopt a stance towards Mr. Maxwell that was at first complacent and disinterested, and then became characterised by intimidation and victimisation. failure to address institutionalised racism and homophobia within specific operational commands. In December 2012, Mr. Quantrell was then promoted to Superintendent of Lambeth Police with overall responsibility for Operation Trident in the borough.36 As per the MPS’ own description of this Operation, a key “enabler” is community relations: “speaking and listening to communities and acting on their concerns”.37 Given the ET and EAT’s definitive findings against Mr. Quantrell, it is extraordinary that he has been promoted to posts that require developing trust with different communities in one of London’s most diverse boroughs. By promoting officers like Mr. Quantrell to such senior ranks, moreover, the inference is clear: those who abuse are promoted; those who report wrongdoing are victimised. Mr. Maxwell submits that the failure to take discrimination seriously and failure to investigate are failures of leadership that have a trickledown effect upon the organisation as a whole. MPS’ senior managers must take the lead and set the example that discrimination is not acceptable. This can only be done by a commitment at the highest level to proper investigation and accountability. The MPS’ culture of “containment” and “covering-up”, moreover, punishes the victims and not perpetrators. As this submission demonstrates, various senior MPS officials acknowledge that racism and discrimination is part of the fabric of the MPS. We also submit that elite police commands such as Special Operations 15 are particularly sensitive in nature. Not only does SO15 undertake counter-terrorism operations at all ports of entry into and exit from London, but we also understand from media reports that this Command is charged with the responsibility for investigating the murder of Drummer Lee Rigby.48Given the intense media interest in this case, the actions and behaviour of officers belonging to SO15 are likely to come under high levels of scrutiny. If some of the officers that have been seconded to the Command are unable to interact with their colleagues without resorting to discriminatory victimisation and harassment, this does not bode well for this Directorate’s treatment of the general public. Moreover, given the nature of its duties, any failures in the counter-terrorism command could have a serious impact upon national security and, as such, place the general public at risk. Kevin Maxwell was a young and talented police officer who had served with distinction in the Greater Manchester Police. His abilities were well known to his superiors, and he was well liked and respected by his colleagues. Shortly after the Metropolitan Police Service created Special Operations 15—an elite command charged with the responsibility of providing a rigorous and coherent response to threat of terrorism in London—Mr. Maxwell was invited to join. Soon after commencing his role at Heathrow Airport, he became upset and concerned by the racist and homophobic manner in which a number of his colleagues behaved. When Mr. Maxwell tried to raise his concerns with senior leadership in SO15, he was ignored. As the harassment and discrimination at Heathrow continued, Mr. Maxwell became evermore distressed and anxious. Such was the trauma of these events that our Client was forced to take extended sick leave and later resign his position. He now suffers from chronic depression characterised by high levels of anxiety, he is unemployed and homeless, and possesses spiralling levels of personal debt. He feels utterly betrayed by the MPS. He feels the MPS tried to destroy him. As this Submission makes clear, this outcome was preventable. Had the leadership within the MPS acted more swiftly and decisively to tackle discrimination and harassment, the MPS would still benefit from an excellent asset, and Mr. Maxwell would still have a home and a job. Large sums of taxpayers’ money and countless hours of MPS time, moreover, would have been saved. As opposed to admit fault and sanction corrective behaviour, the MPS pursued Mr. Maxwell through two employment tribunals. In both, the MPS was found to be at fault. The clock cannot be set back for Mr. Maxwell, nor the years of suffering undone. 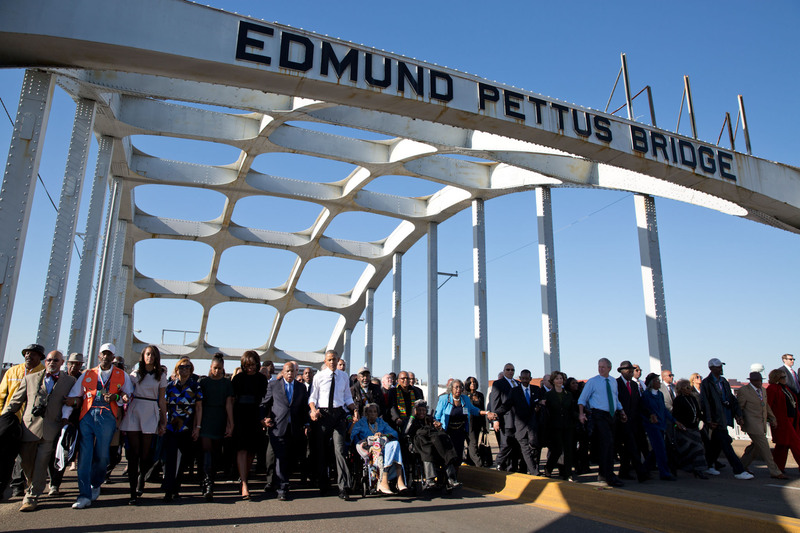 Through his campaigning efforts, he seeks to improve the climate under which black and other minority officers serve. Ultimately, he hopes that no other officers suffer like he has. Change should come from the top: If the MPS wishes to stamp out racism, homophobia and other prejudice within the MPS, there must be decisive and unwavering support at the highest echelons in the MPS. Zero Tolerance on discrimination at operational levels: If the MPS wants to prevent racism and discrimination, they must apply a zero tolerance policy at all operational levels. All complaints must be treated seriously, thoroughly and vigorously investigated and, where necessary, appropriate sanctions applied. Ensure a victim-centred approach: When undertaking internal investigations into specific complaints, the MPS’ principal focus must be to protect victims. The MPS must not seek to harass or victimise whistle-blowers into silence. Rigorously enforce standards within MPS to prevent “spill-over” into interactions with the public: If the MPS wants to ensure that its officers treat the general public with the according dignity and respect, they must first get their “own house” in order. A police service that is discriminatory on the inside, will also be discriminatory on the outside. Change requires transparency and openness: The MPS current culture of “containment” and “covering-up” punishes the victims and not the perpetrators. To affect meaningful change, the MPS must be open and transparent in its investigations, both to serving officers as well as the general public as a whole. Procedures exist to be enforced: The employment tribunals found that the MPS had an adequate Reporting of Wrongdoing Policy (RWP) but failed to implement it. Going forward, the RWP must be an essential part of management training; senior management who circumvent the RWP should be punished. The MPS needs to change in order to achieve wider community participation: Recent polls have shown that trust in the Police amongst BME and other non-white communities remains low. So long as the MPS appears to be “institutionally racist”, the MPS have little chance in recruiting more candidates from diverse backgrounds. 1Metropolitan Police Service, “What is SO15?”, http://www.metpolicecareers.co.uk/ctc/what_is_so15.html. Date of last access: 12 June 2013. 2The Guardian, “Black and Gay Police Officer Hounded Out like “Enemy of the State”“, 18 May 2013; The Times, “Why Kevin Maxwell refused to be a gay poster boy for the police”, 23 May 2013. 3Employment Tribunal, Judgment, Mr. K Maxwell v. Commissioner of Police of the Metropolis, 12 February 2012; Employment Appeal Tribunal, Judgment, Mr. K Maxwell v. Commissioner of Police of the Metropolis, 14 May 2013. 4Employment Tribunal, Judgment, Mr. K Maxwell v. Commissioner of Police of the Metropolis, 12 February 2012; Employment Appeal Tribunal, Judgment, Mr. K Maxwell v. Commissioner of Police of the Metropolis, 14 May 2013. 5Employment Tribunal, Judgment, Para. 211. 6Ibid., Paras. 296-8; Employment Appeal Tribunal, Judgment, Para. 83. 7Employment Tribunal, Judgment, Para. 211. 8Note: warranted officers are not permitted to submit claims to the IPCC, so Mr. Maxwell’s partner, Mr. Parr, filed the initial complaint. 9Letter from Detective Sergeant Helen Thomas to Mr. Alex Parr, 11 October 2012.Note: this correspondence is not in the public domain. Upon request, and subject to Mr. Maxwell’s approval, we will be able to provide the Committee with a copy of this document. 10Letter from Mr. Kevin Maxwell to Rt. Hon Theresa May MP, Secretary of State for the Home Department, 14 October 2010. Note: this correspondence is not in the public domain. Upon request, and subject to Mr. Maxwell’s approval, we will be able to provide the Committee with a copy of this document. 11This claim is sustained by a large number of recent incidents. See, amongst others, The Independent, “Former Met police officer Paul Flattley jailed for selling information about Kate Middleton and John Terry to The Sun”, 5 June 2013; The Guardian, “Police officer found guilty of trying to sell information to the News of the World”, 11 January 2013; Metro UK, “Phone hacking: News International “paid Met police officers for information”, 6 July 2011; The Times, “Met officer arrested for leaking information to press without payment “, 15 February 2013; BBC News Online, “Operation Elveden: Three arrested in Hertfordshire and Surrey”, 17 January 2013. 12Employment Tribunal, Judgment, Paras. 238-301. 13Employment Appeal Tribunal, Judgment, Paras. 84-9. 16Employment Appeal Tribunal, Order for Directions, 1 May 2012, Para. 11. 17Employment Tribunal, Judgment, Para. 301. 18The Times, 15 May 2013. 19The Employment Tribunal found that all of the incidents listed in this section constituted, in fact, direct discrimination or harassment. It should be noted, however, that a few of these claims were dismissed upon the MPS’ appeal to the Employment Appeal Tribunal since Mr. Maxwell’s application fell outside the specified window for complaint (ninety days). Nevertheless, these incidents have been included within this Submission since they are relevant and were upheld in spirit by the Tribunal. 20Employment Tribunal, Judgment, Para. 32 & 263-4. 24In the interests of balance, it is important to note that the Employment Tribunal affirmed that on some specific occasions, this “targeting” practice may be acceptable, but only when there is a sensible, legitimate and logical reason why it is more appropriate for an officer from a particular background to approach a specific passenger. Crucially, this “targeting” must be very much the exception, not the rule. 25Ibid., Para. 99 & 273. 34Judge Byrne concluded “the Respondent failed to train officers in the application of the [Reporting of Wrongdoing] policy and failed to comply with it on this occasion” ET Para 301. Note: Emphasis added. 35Metropolitan Police Service, Organisation Chart for Hillingdon Police (6 December 2011), http://www.met.police.uk/foi/pdfs/who_we_are_and_what_we_do/borough/hillingdon_organisational_chart_2011.pdf, Date of last access: 13 June 2013. 36Metropolitan Police Service, Senior Leadership Team for Lambeth Police http://content.met.police.uk/Article/Senior-Leadership-Team/1400016941335/1400016941335?scope_id=1257246764163′, Date of last access: 13 June 2013. 37Metropolitan Police Service, Trident: Gun Crime Command, http://content.met.police.uk/Article/Who-we-are/1400014982729/gangcrime, Date of last access: 13 June 2013. 38The Times, 15 May 2013. 39Employment Tribunal, Judgment, Para. 69. 40House of Commons, Home Affairs Committee, Uncorrected Transcript of Oral Evidence: Leadership and Standards in the Police Service, 23 April 2013. 41Evening Standard, “The Met ‘could have its first black chief within the next ten years”’,http://www.standard.co.uk/news/london/the-met-could-have-its-first-black-chief-within-the-next-10-years-8580062.html. Date of last access: 14 June 2013. 42The Guardian, “Call for new law to force police to tackle diversity crisis at the top”, 27 January 2013. 44National Black Police Association, NBPA Press Release: Stephen Lawrence, Twenty Years On, http://www.nbpa.co.uk/home/nbpa-press-release, Date of last access: 14 June 2013. 46ITV News Online, “59% of minorities thinks Met is institutionally racist”, 23 April 2013. 47House of Commons, Home Affairs Committee, 23 April 2013. Note: emphasis added. 48Sky News Online, ‘Woolwich Murder Suspect “Held Two Months Ago”’, 26 May 2013. ← An Honorary Feminist ~ GO Stella!